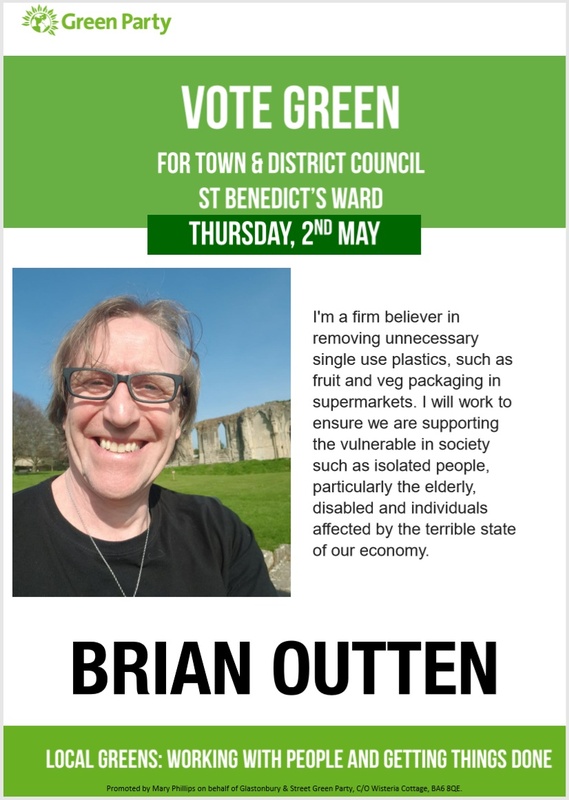 Rik Cook for St. Ben’s By-election! 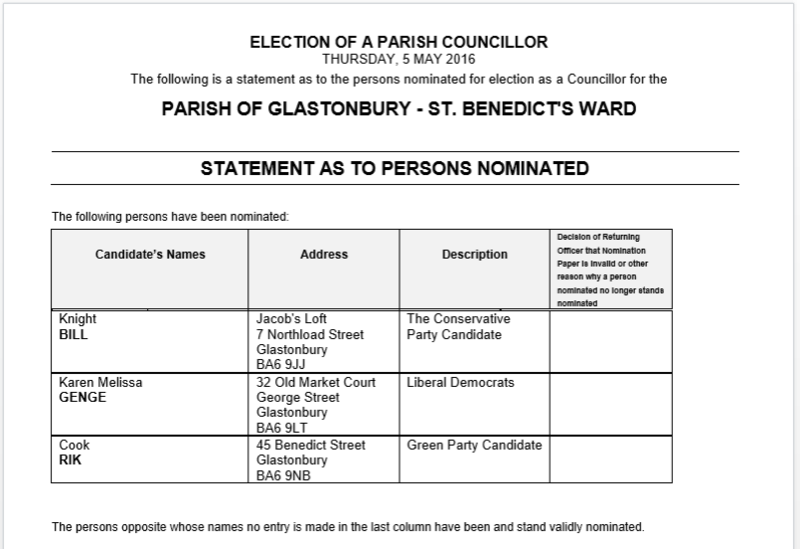 The candidates have been announced for the Glastonbury St. Benedict’s ward by-election, which will take place on Thursday, 5th May 2016. 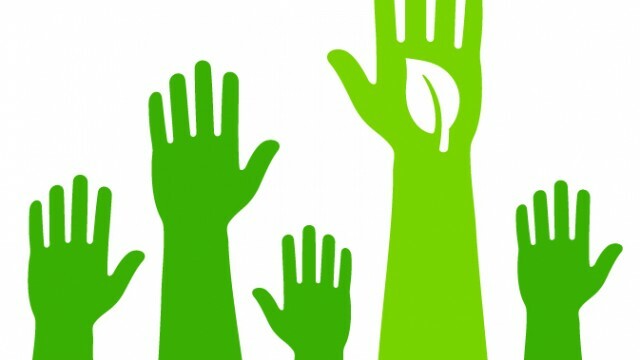 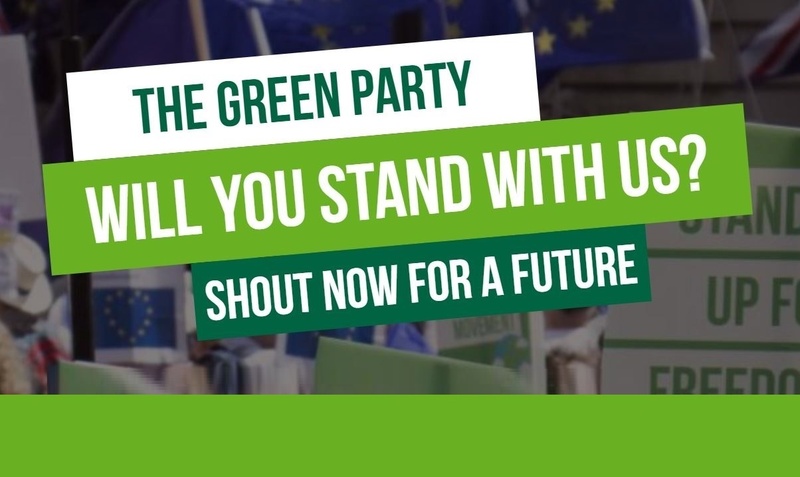 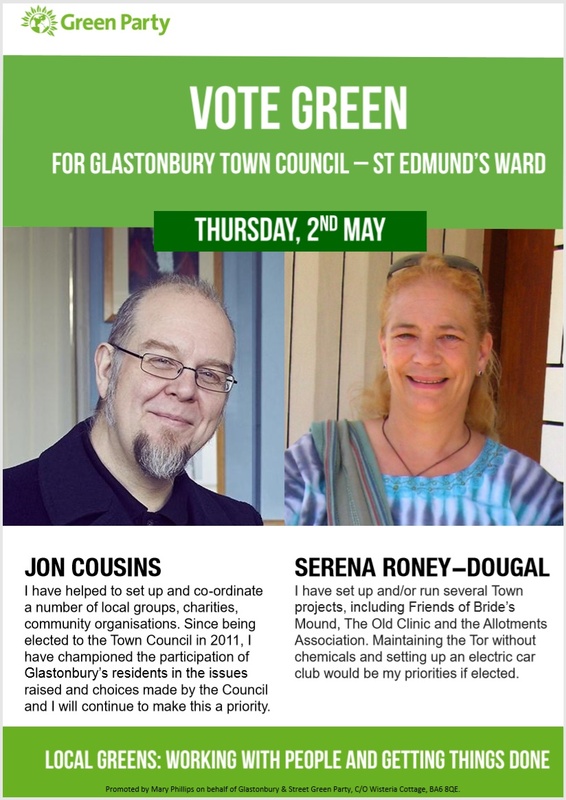 Glastonbury Green Party have selected Rik Cook as their candidate for the seat, which fell vacant earlier this year after Green Councillor Paul Sander-Jackson was forced to resign due to ill health. 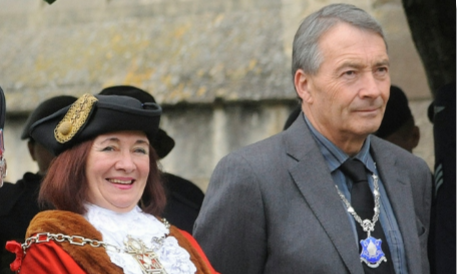 Rik Cook with Glastonbury’s Mayor, Cllr Denise Michell at last year’s ‘Mayor’s Sunday’ celebration. 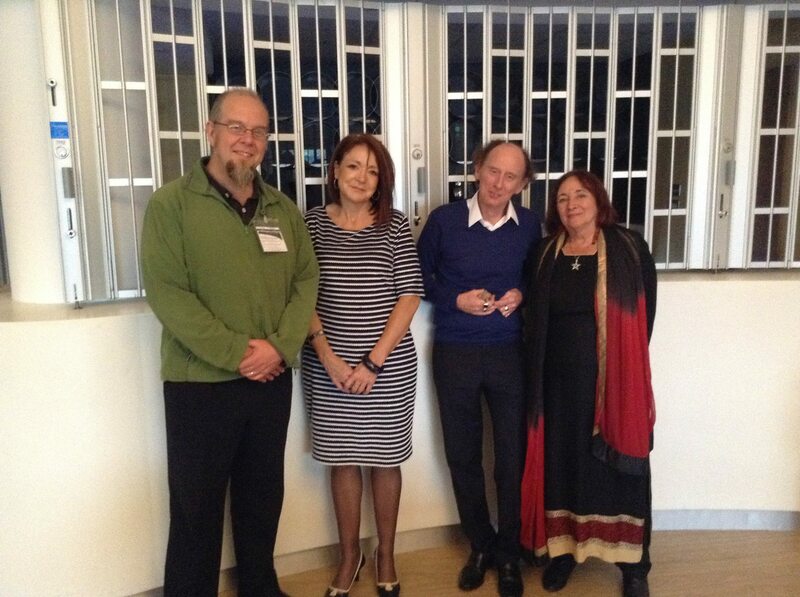 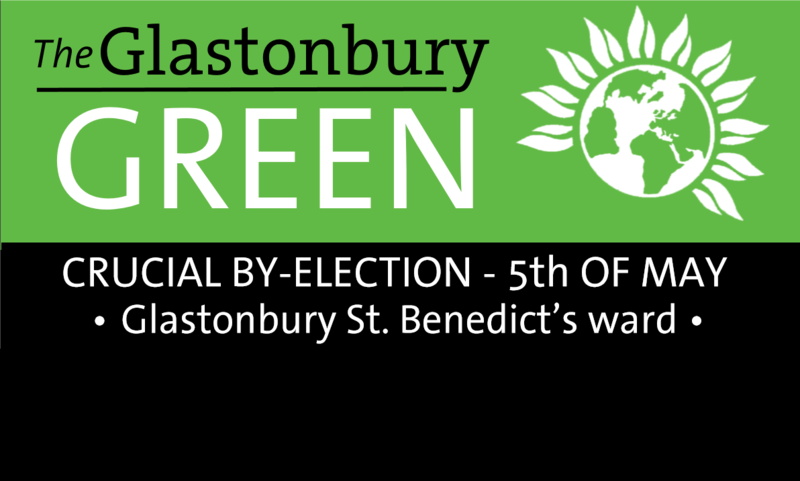 Rik is a local businessman who has lived in the St. Benedict’s ward for 25 years. 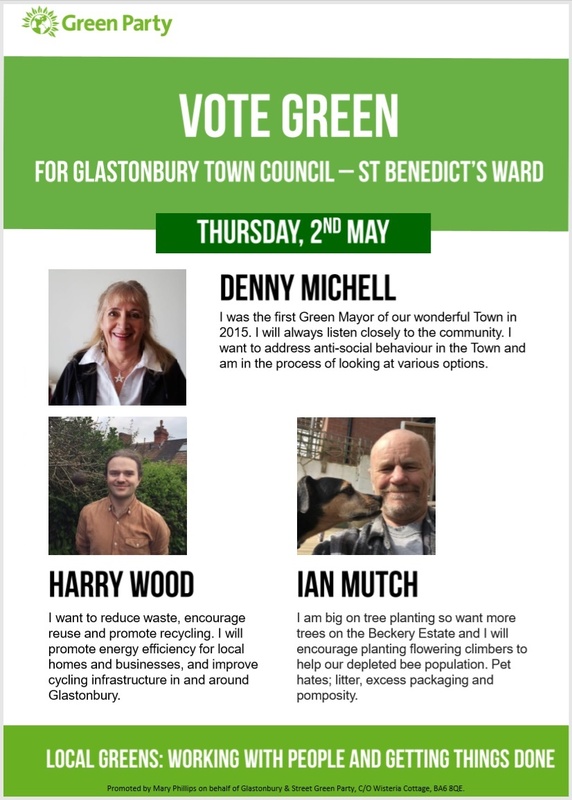 He is a single father, living with his daughter Hazel and their dog Ziggy. 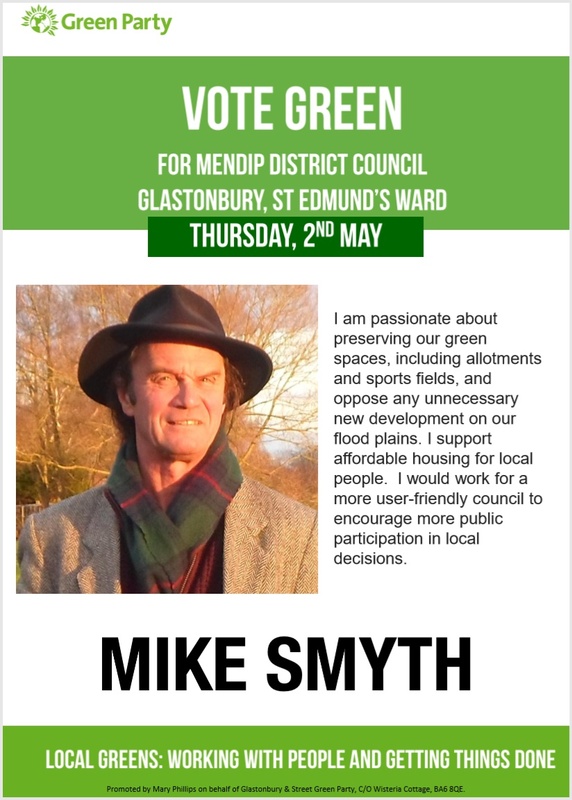 For more than 20 years Rik worked in the Licensed trade in Glastonbury; first at The Market House and then at Tor Leisure, and has a great deal of experience supporting community ventures and dealing with Glastonbury Town Council on planning and licensing applications. 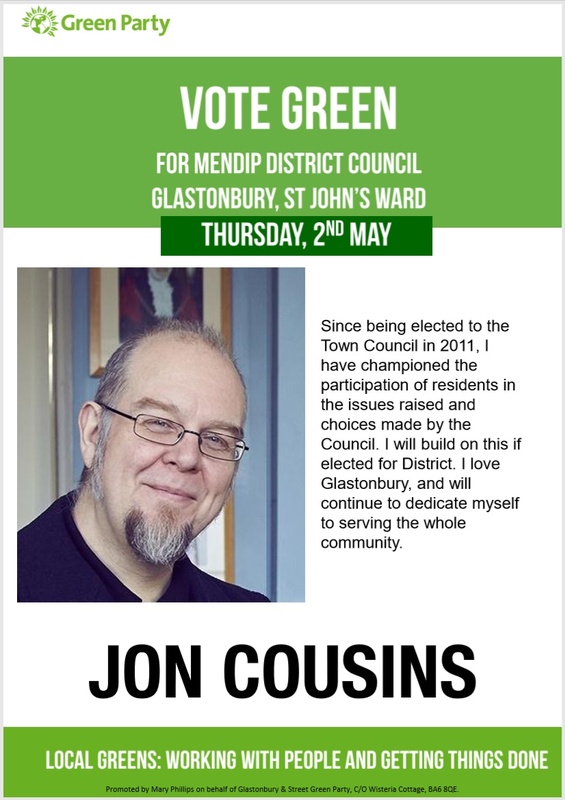 In 2010 he set up his own successful small business as a specialist painter and decorator, using eco-friendly paints and plasters to restore and refurbish traditional properties. 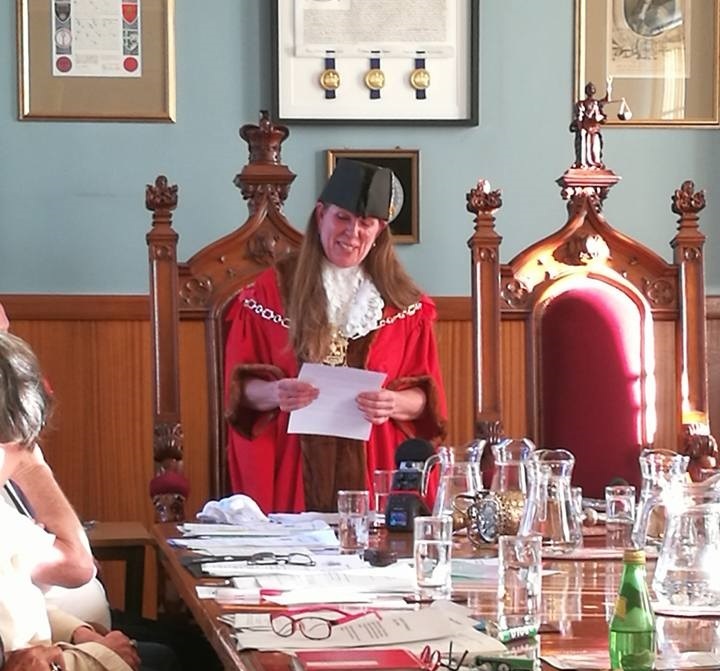 Rik helped establish a number of ongoing community run events, including the Riders in the Sky Annual Ride Out, the Medieval Fayre, and the Glastonbury Ultimate Frisbee Tournament. 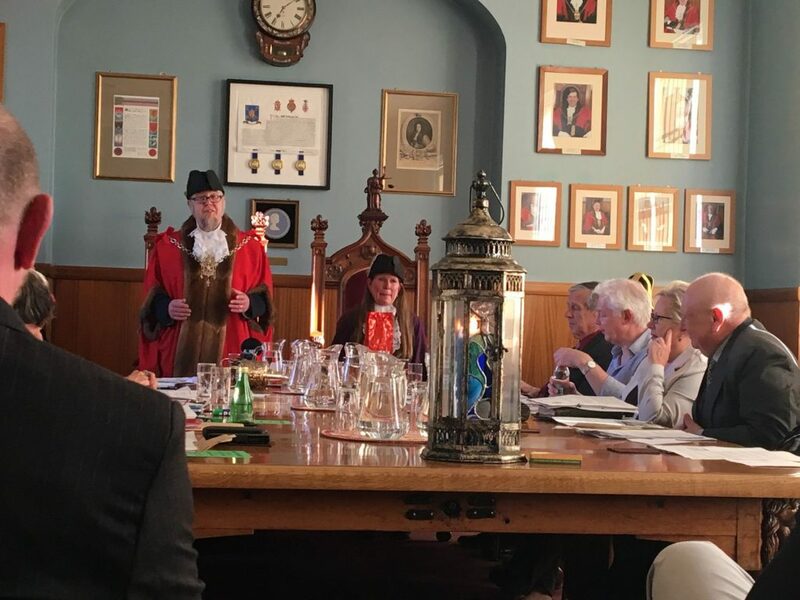 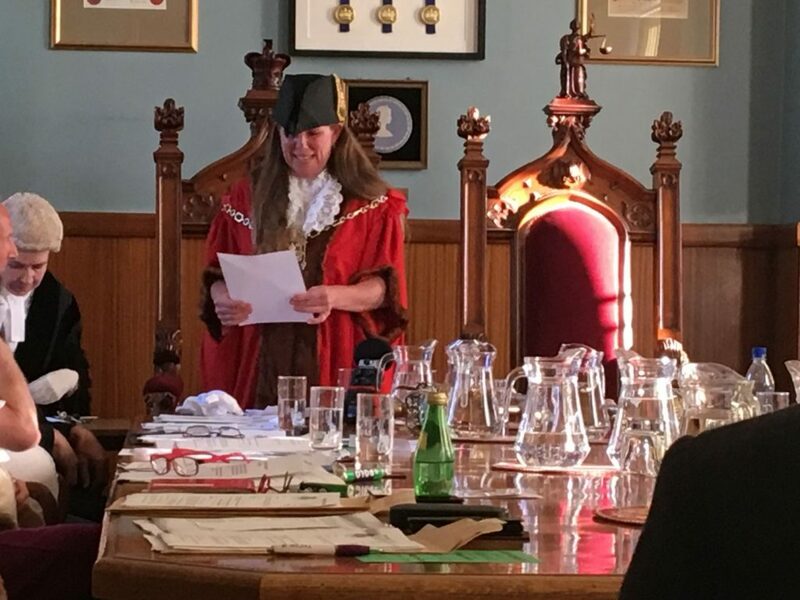 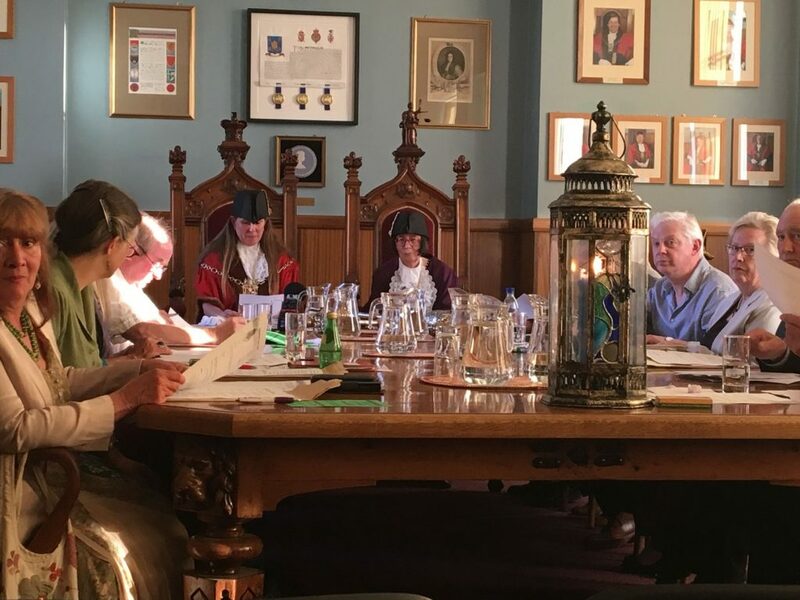 He also used sponsorship and promotion to build positive relationships with the town’s more traditional local clubs and associations such as Sea, Air, and Army Cadets, Skittles, Pool, Darts Leagues, local photography, Chess clubs, as well as local Rugby and Football clubs, and pub cricket leagues. 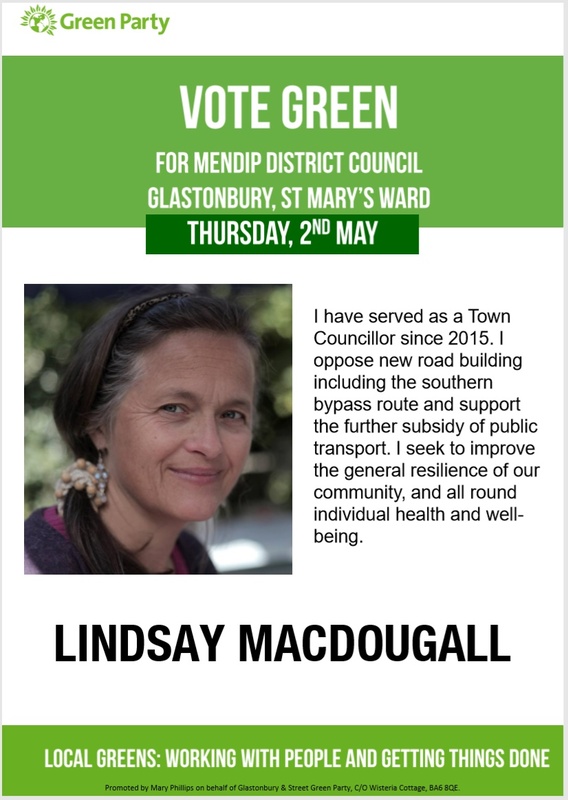 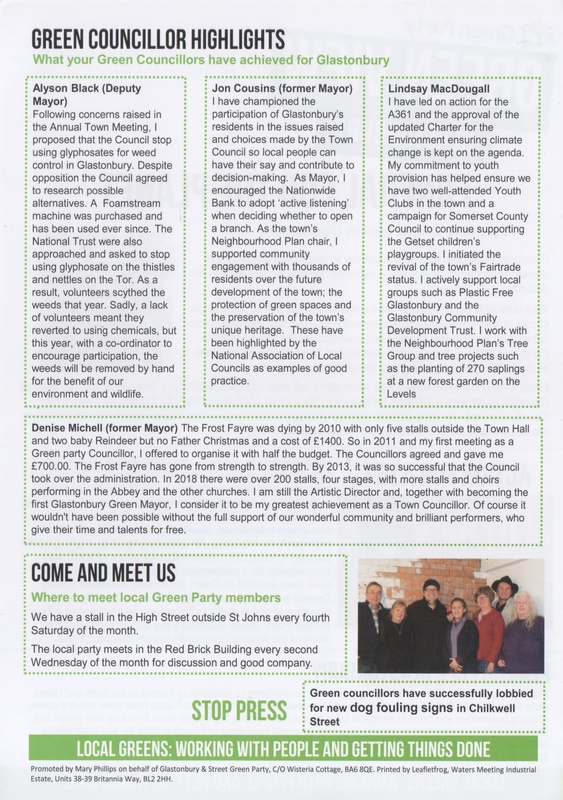 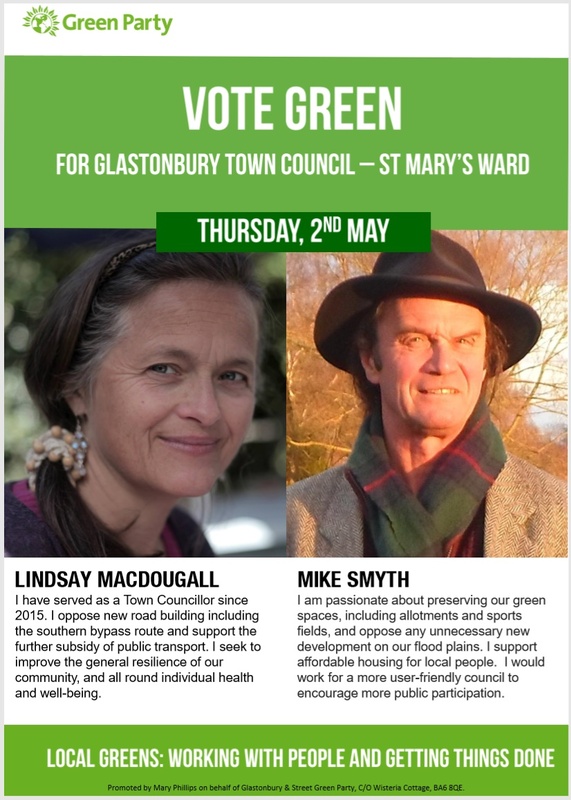 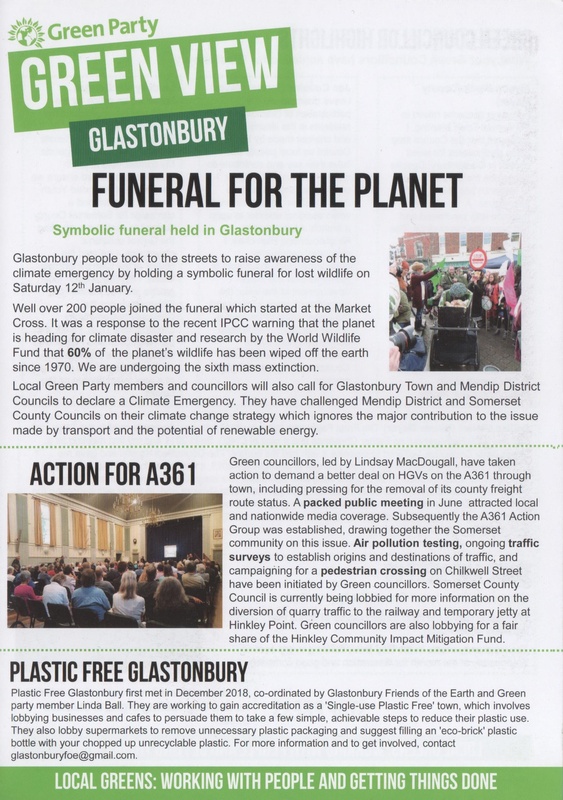 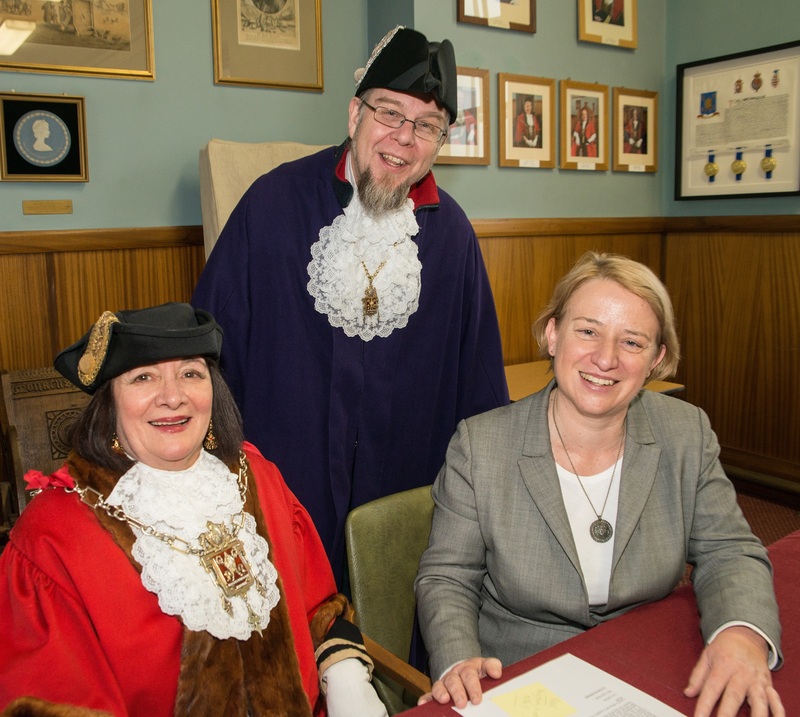 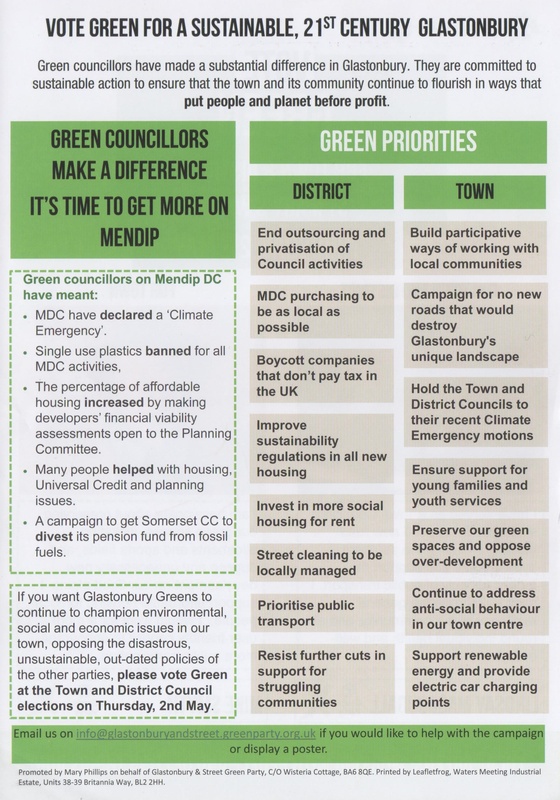 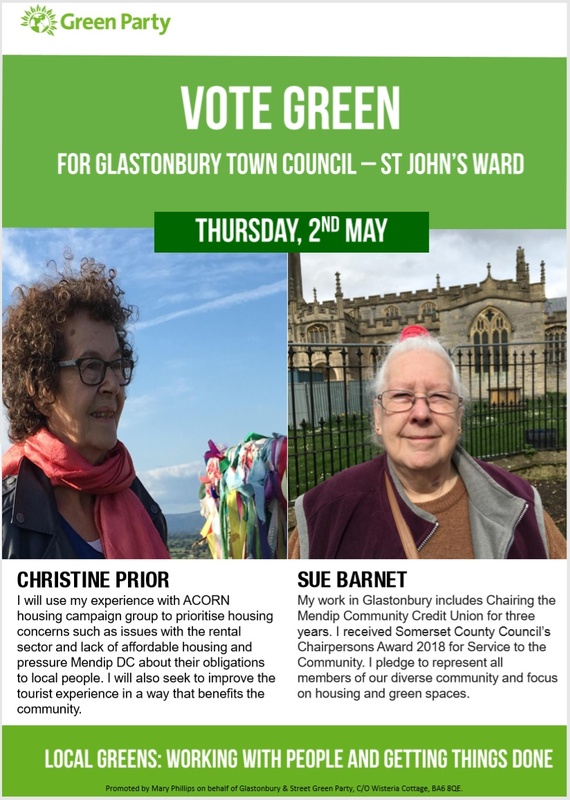 The Glastonbury GREEN – By-election Special !